A minimum order of $300 is required on all orders and re-orders (mixing styles is fine). 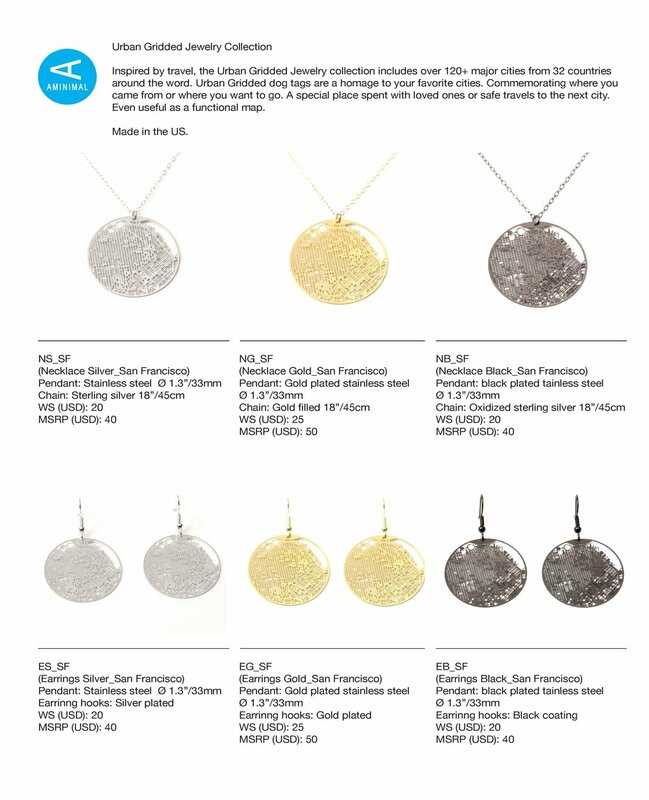 For custom city or location of the Urban Gridded Jewelry the minimum of opening order is $500. Initial orders must be paid for up front before items are shipped out. We will contact you with your order total and a digital invoice. Re-orders must be payed for within 30 days of the invoice date. Late payments are subject to a 10% late fee for every 30 days past due. Any changes or cancellation to orders must be emailed to office@aminimalstudio.com within 2 business days. Accepted methods of payment Visa, MasterCard, Discover, American Express, Paypal, and checks are all accepted forms of payment. If we don’t have the items in stock, please allow up to 4-6 weeks for your order to ship. Shipping/handling charges will be calculated and added to your order total when the order is ready to ship. Please inspect all shipments immediately upon arrival. Please contact us at office@aminimalstudio.com within 7 business days of receipt of damaged or defective shipments. Returned merchandise will be replaced with new merchandise. Returned merchandise will not be accepted if it is held for more than 15 business days after receipt.